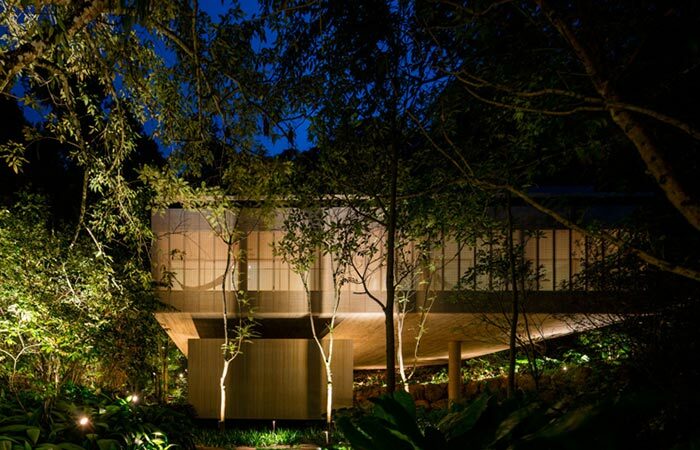 The Brazilian rainforest may sound too exotic to some, but for Studio MK27 it’s an ideal location to build a magnificent structure- Casa Na Mata. 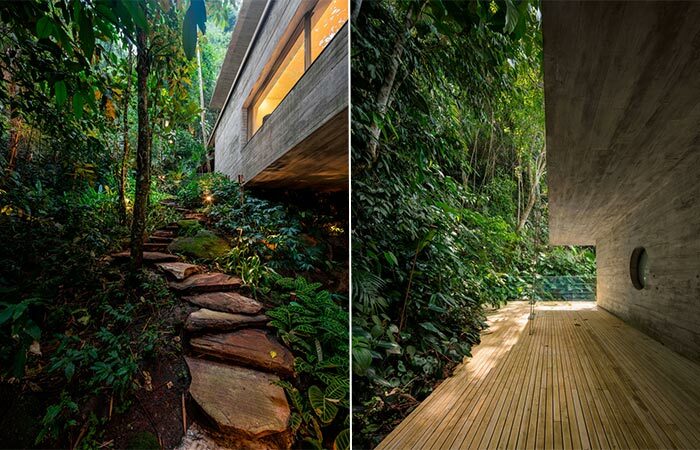 This rainforest house is another great example of a perfect getaway, a house that blends in with the surrounding land. 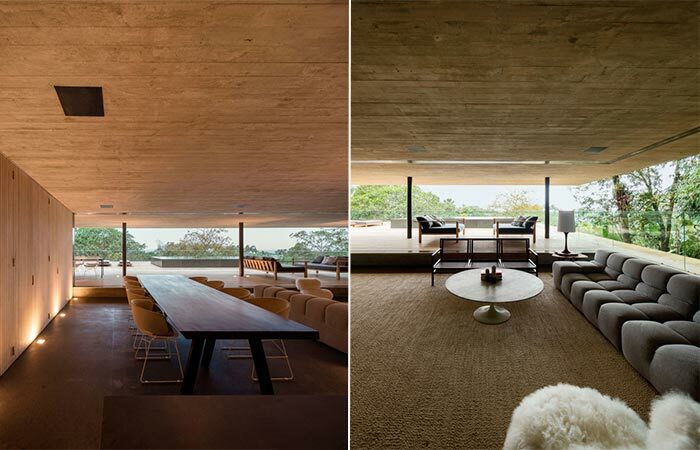 Casa Na Mata is located west of the Paulista shore in Brazil. 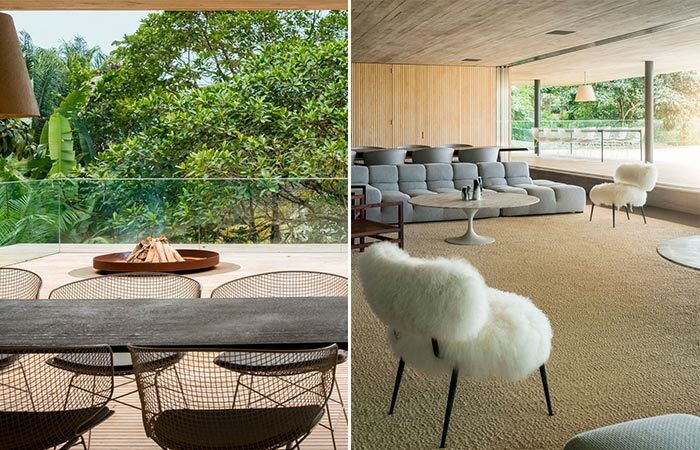 It has a lot of wooden, spacious areas and a minimalistic design that in a way reminds us of Norway’s Juvet hotel. 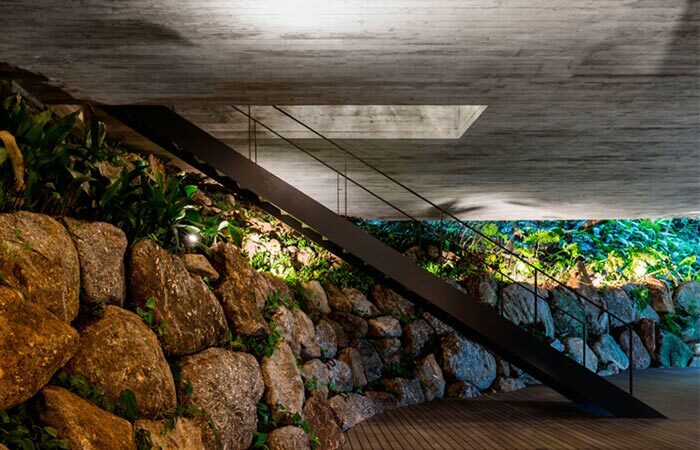 Both are in harmony with the environment and feature organic elements that connect the structure with nature. 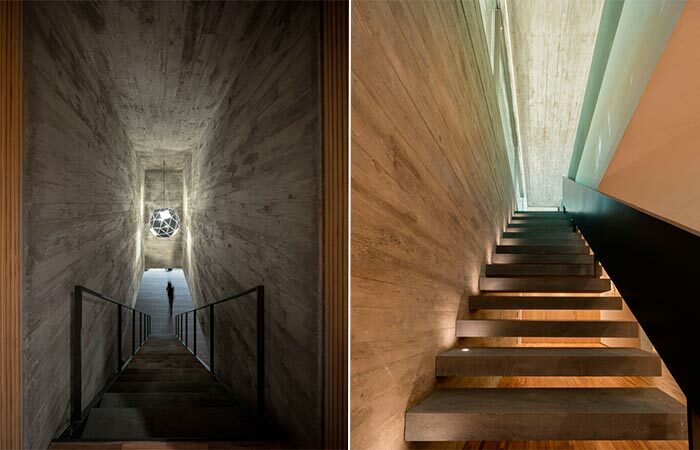 Besides the wooden parts, the house features a lot of exposed concrete. 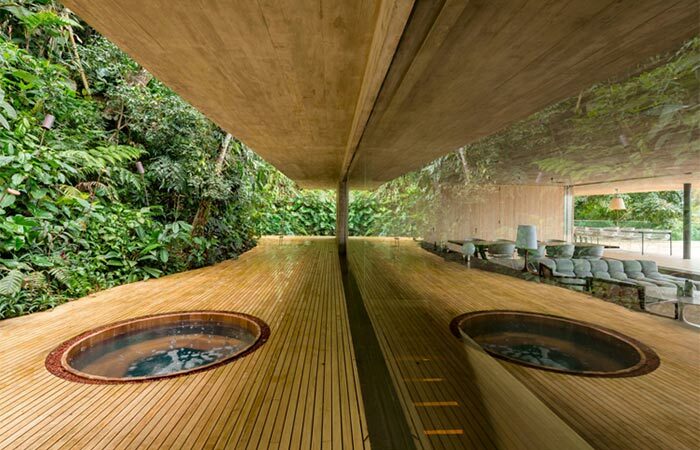 Studio MK27 constructed a rainforest house in Brazil. 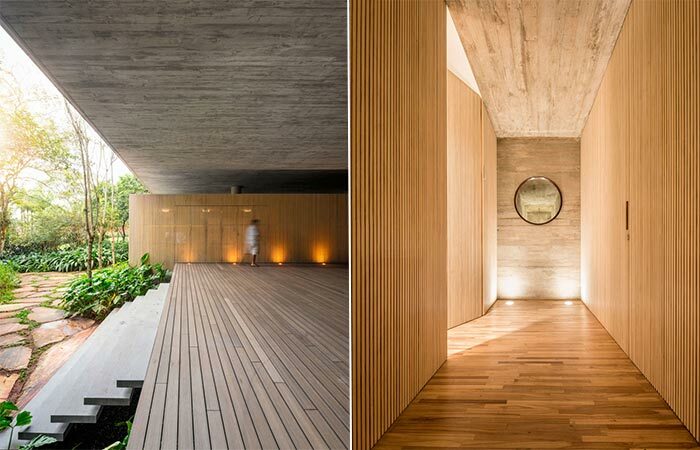 Located west of the Paulista shore, Casa Na Mata is built from exposed concrete and wood. Casa Na Mata has three floors, the ground floor features a large wooden deck. Also on the bottom floor, there’s a children’s playroom as well as utility rooms. As you approach the stairs, you notice a luminous work done by the brilliant artist Olafur Eliasson. The house features spacious minimalistic areas and three floors. The entrance to the first floor. The geometric lamp is the work of Olafur Eliasson. The middle floor houses five bedrooms and a TV room, all created for ultimate coziness. 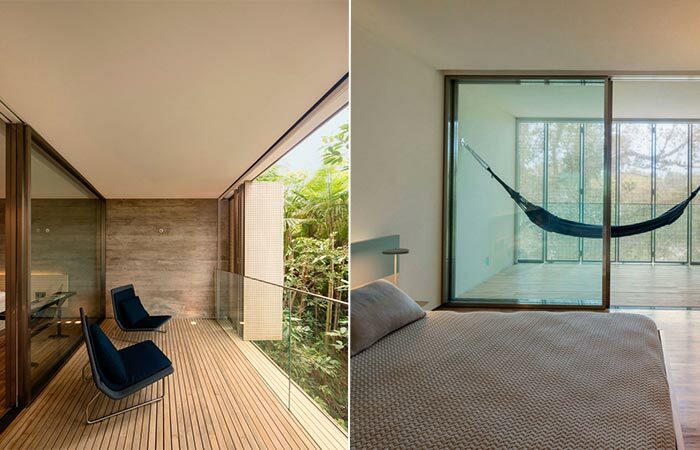 Each one has a small balcony with a hammock and wooden sun-screens. The middle floor is where the bedrooms are. The top floor is where the kitchen, living room and infinity pool are. In a way, this is a much different organized space than we usually see. What is here on the top floor is usually on the ground floor of almost every typical house. The living and dining area are located at the top floor. In the corner, next to the pool there’s a fireplace. The top floor is very spacious. On the one side, you’ll find a smaller deck with the hot tub and sauna, and on the other, by the pool, a round fireplace. 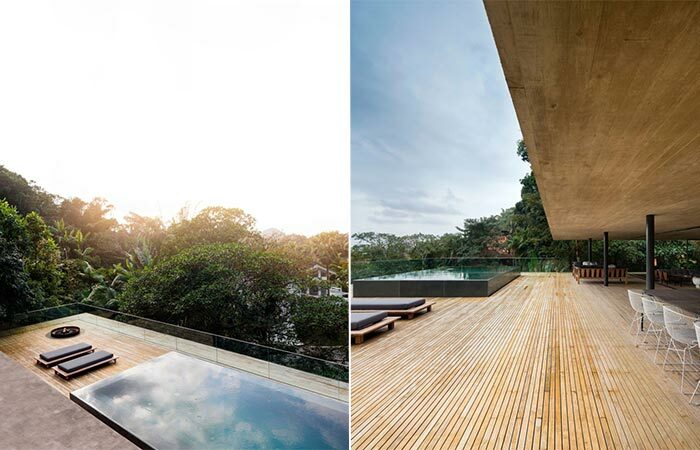 The big infinity pool on a wooden top deck. Also on the top floor are the hot tub and sauna.